Prototype: French State Railroad (SNCF) Eurofima design type A9u compartment car, 1st class. The car looks as it did around 1979. 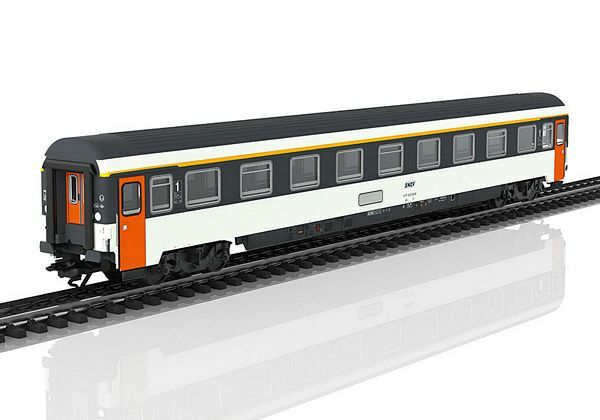 The typical paint scheme of the comfortable Corail car makes this express train passenger car stand out from other Eurofima cars.